1 674 kW (2 276 k) při 2 750 ot/min v h= 2 819 m.
Sources: Bussy, Geoffrey. 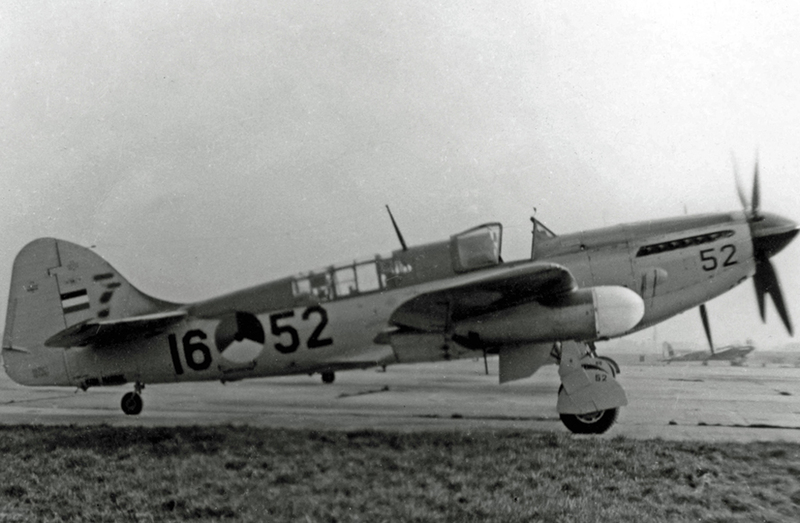 Fairey Firefly F.Mk.1 to U.Mk.9, Warpaint Series 28. Hall Park Books, Milton Keynes 2001. ISBN 0-9999-00284. Harrison, William A. Fairey Firefly in Action, In Action No.200. Squadron/Signal Publications, Carrollton 2006. ISBN 0-89747-501-1. Luranc, Zbigniew. Fairey Firefly MK I, Skrzydla w Miniaturze 9. Avia-Press, Gdańsk 1994. Luranc, Zbigniew. Firefly Mk II - Mk 8, Skrzydła w Miniaturze 10. Avia-Press, Gdańsk 1994. Thetford, Owen. British Naval Aircraft since 1912, Naval Institute Press, Annapolis 1991. ISBN 1-55750-076-2.